If you’ve been caught in a scam, you probably feel a combination of anger, anxiety, and shame. But you don’t need to feel powerless against these criminals! Scammers take advantage of people’s trusting nature and good will. They rely on the fact that you will feel the emotions mentioned above, but not necessarily know what to do once you’ve discovered the scam. However, if you act quickly, you may be able to recuperate your money, or at least stop the scammer in their tracks. If you realize that you’ve been caught in a scam, follow these steps as soon as possible. If you made a cash payment to a scammer on the street, you’ll likely never see that money again. But if you were scammed in an online transaction – say, a fake online shopping site or phishing scam – you may be able to retrieve those funds. Contact your bank immediately and let them know what’s happened. You may be required to go to your local branch in person to complete a dispute form, and to issue a “stop payment” on the order or transaction. If your online scammer requested that you pay via PayPal, you can also contact their Resolution Center to stop a payment from going through. They may ask that you “come to an agreeable solution” with the other person before they intervene – they are assuming that there was a miscommunication between the transacting parties that can be resolved. Message the scammer, if possible, and demand a refund within 24 hours. If they have not responded or make excuses, you can escalate the matter to PayPal’s Resolution Center. Be polite and professional in all your written communications, as these documents may be used in court at a later date. Call your local police department’s non-emergency number. They may not be able to help you get your money back directly, but they can open a case file documenting the scam. This will be necessary for any possible legal proceedings in future, or to claim on your insurance where possible. Fraud is a crime, and they should take the matter seriously. If you suspect that you may be a victim of identity theft, contact one of the three major credit bureaus to file a fraud report on your credit report. This will alert anyone who pulls your credit report that your information has been compromised. If the scammer tries to apply for credit in your name, the fraud report raises a “red flag” for the business, asking them to contact you directly to confirm your details. If you opened a scam-related email or webpage, run a security scan on your computer to check for viruses. Also update your anti-malware software to ensure that it is up to date. If it’s outdated, scammers could be account information and personal details without your knowledge. You can also contact the National Fraud Information Center, the National Consumers League, or the Better Business Bureau, depending on the nature of the scam. 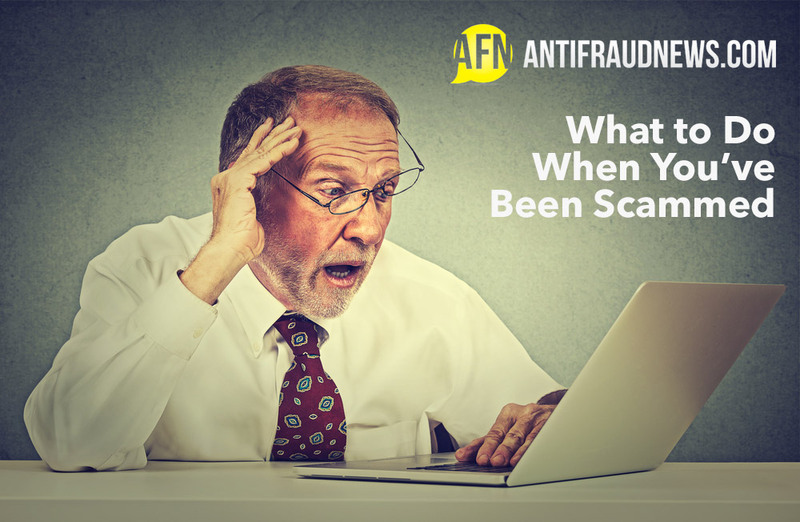 Read our guide on how to recognize scams, in order to protect yourself in future.